Dan Wright has joined Whitley Bay on loan for the rest of the season. The 21-year-old recently returned to Mariners Park from a one-month spell at Newton Aycliffe, and has now linked up with their Northern League Division One rivals. Wright joined South Shields last summer after enjoying an earlier loan spell with the club during his time at Sunderland. He has made 19 appearances for the Mariners, scoring once, and is also one of the club’s Project EFL ambassadors, regularly visiting schools in South Tyneside with team-mates Blair Adams, Ursene Mouanda and Carl Finnigan. The deal to take Wright to Hillheads is until the end of the season, although the club reserves the right to recall the midfielder at any point after 28 days have passed, if required. 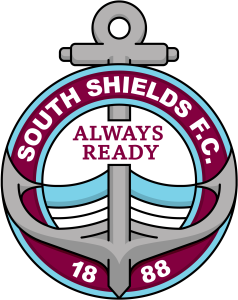 Shields joint manager Lee Picton said: “Dan has been out of the side for a number of weeks and we feel a regular run of games will help to lift his confidence and sharpness levels to the point that he can realistically fight for his place in the starting 11 here at South Shields. “Dan is an extremely talented and promising young player and one who we still believe has potentially a really strong future at the club. Everyone at Mariners Park would like to wish Dan well and look forward to his return in the summer.